Please give us a call at (256) 217-5500 or fill out the form below. We will get back to you as soon as possible. I'm interested in a Free Network Assessment. I would like a free web design quote. Tired of not knowing what is going on with your computers and networks? Can't find an IT provider that you can trust? If so, call us today and discover how reliable and committed local IT service can be. Why Choose Ryan Creek Technology? There are plenty of companies out there offering IT services, so how do you choose? When talking to prospective new clients, we continually hear the following complaints: poor response time, nickel and diming, and impolite and condescending technicians who lack the necessary skills. At Ryan Creek, we have structured our business model to address these issues head on. From skilled technicians who explain their work in a non-technical language that you can understand to fixed-price project work and flat-rate IT services, we strive to help you be successful. Our desire is to become a strategic partner to your business, focused on helping you succeed, and not just trying to sell you something. Our team listens to you, and we customize IT solutions to fit your business. If you want a different kind of IT services vendor, then give us a call. When you need managed services to maintain peak operation of your small business’ IT network, consider us here at Ryan Creek Technology. We’ll manage all of your IT services for a flat-rate fee so you can focus your efforts on revenue growth. Let us give you the peace of mind you deserve with your small business today with Ryan Creek’s suite of managed services. These services include Fully Managed Services, Security and Backup/Disaster Recovery (BDR) Service, and Monitoring Service. One is certain to be right for you. Predictable costs 24/7 – Ryan Creek doesn’t charge you more when your network is down or a server fails. Our flat-rate fee covers all of that whenever you need it done. Businesses rely on the Internet to function, and therefore need it to be highly available, secure, efficient and safe. Additionally, HIPAA, PCI, and other regulations require it. Our security and compliance solutions are designed to protect your business’s network and systems, so using the Internet can be truly worry-free – and best of all, we’ll manage the entire solution for you. In today’s business world, a great website is extremely important and often the first thing a potential customer sees before they meet you. Making a good first impression could mean the difference between new customers or no customers. Isn’t it time to spruce up that tired old website? Are you still backing up you your data to tape? Are you backing up to USB or thumb drive? Are your backups stored on site? Are your backups being done manually? Are you doing backups at all? If you answered yes to even one of those questions, your sensitive and important data is at great risk of being lost forever, or falling into the hands of competitors or criminals. Tape drives fail over 70% of the time. USB drives and thumb drives are EASILY lost or stolen. On-site backups are lost when the building is destroyed. Manual backups are highly subject to human error. 90% of small business that suffer a catastrophic data loss are out of business within a year. Don’t let this happen to the business you work so hard for. Your business records, tax records, and customer data is essential to running your business. When it’s lost because of anything from unanticipated natural disaster to user error, or even malicious end-user behavior, you need to make sure you can recover your data so your business can continue to thrive and grow. Information is so critical it is reported that 90% of small businesses who suffer a catastrophic data loss are out of business within a year. Data backup and recovery is essential to business, and we provide products ranging from industry-leading intelligent business continuity systems to simple local and cloud file/folder backup products which allow us to manage, monitor, maintain your data, and protect you from data loss. One of our solutions can be tailored to fit your business need. Regardless of your business size, you need the dependable data backup and recovery service that Ryan Creek can provide. – call today and prevent the unexpected from ruining your company. Isn’t it time you ditched that clunky phone system in the closet, or abandoned that featureless system from the cable company? We provide you with 100% cloud-based communication service at a fraction of traditional phone service costs. 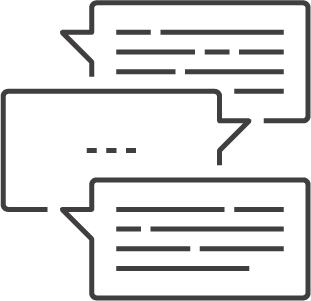 Our goal is to simplify your business communication, increase your productivity, and enable you to serve your customers better. And it’s all in the cloud. We offer traditional break/fix support services and project work, without the need for a contract. Whether you are looking to move some or all of your business to the cloud, or simply co-locate a server there, we can help. From simple email accounts with robust SPAM and anti-virus protections, to compliant encrypted email solutions, we have what you are looking for. Get the latest solutions from Microsoft to standardize your applications and unify your workforce. With decades of real business experience, let us help you avoid costly technology mistakes and maximize your IT budget. Business growing and you need to relocate? We are champs at making sure you don't suffer productivity loss. 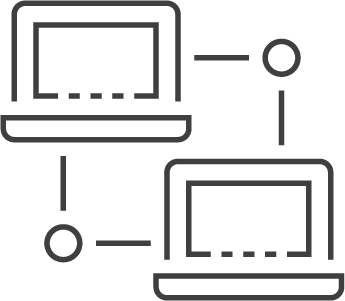 At no cost or obligation, we will perform a comprehensive network audit for businesses with 5 or more computers. This FREE audit will look for maintenance and security issues, backup status, employee productivity issues, firewall configuration, and more. Dependable technicians and consultants that work as your partners in IT. IT solutions that are tailored to fit your business. Integrity is one of our core values. It is essential to who we are. Our technicians are always friendly and respectful, and they never use “Geek Speak". You will be happy with our service and it is backed by a 100% guarantee. Technology services from Ryan Creek are customized, designed, created and implemented based on your unique business needs. This ensures that you have the best solutions and know you’ll see a return on your investments. Ryan Creek makes us feel like we’re thier only clients. They are always professional, knowledgeable and lightning fast in their response even during holiday hours. If a resolution is not immediately known, they will research until they can deliver complete resolve. Working with Ryan Creek is effortless! It’s so reassuring as a business owner knowing that Ryan Creek is there to fulfill an essential role in ensuring that our network remains fully functional and secure. They have successfully reduced the daily stresses experienced in a small business. Thank you for all that you have done and continue to do for our business! …Ryan Creek keeps our computer systems up-to-date and well-protected at a fraction of the cost it would take to hire our own IT department. Their support is excellent. Scott and the rest of the team at Ryan Creek Technologies possess the dental-business skills you need for the well being of your practice! They have integrity, are reliable and take pride in their work. No matter what you need, you’ll have a dedicated team member that specializes in the technology you use. We had a major project due and my computers started acting up. [I called] Ryan Creek Technology for IT Support. Your tech came right over and immediately began fixing problem after problem. Absolutely the best IT service I have ever received and fast! She just went way above what I expected… WOW! Absolutely over-the-top! I know that any tech challenges or dental software issues that we pose can be resolved quickly. We have a staff of over 30+ employees in 3 different offices, and they all receive the help they need without any problems. Ryan Creek is VERY prompt and reliable and they make my job easier! Ryan Creek does a great job of keeping our systems secure and virus-free. They will even fix problems for us before we know we have them, and they are quick to help when an emergency happens at any of our locations. Not Ready To Call Just Yet? 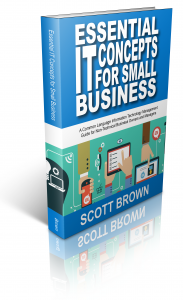 If not, we would at least like to offer you a copy of our book titled Essential IT Concepts for Small Business: A Common Language Information Technology Management Guide for Non-Technical Business Owners and Managers. Ryan Creek Technology Associates, Inc. Simply fill out this form and we will send you a download link. This book is also available in Kindle and paperback formats via Amazon.com. If you are a local business with 10 or more computers and would like a free hardcopy version, please check the box below and we will make arrangements to get you one. At the foundation of Nextiva’s culture, you will find a passion for delivering great customer service. They call it “Amazing Service,” and it drives everything that they do. Whether it’s offering personalized system walk-throughs for new customers, providing instant troubleshooting for any issues, or even answering your questions via social media – they provide you with great service so that you are able to deliver the same level of exceptional service to your customers. Get Your Quote Started Today! Simply fill out the form and will be in touch soon to help you take back your network.